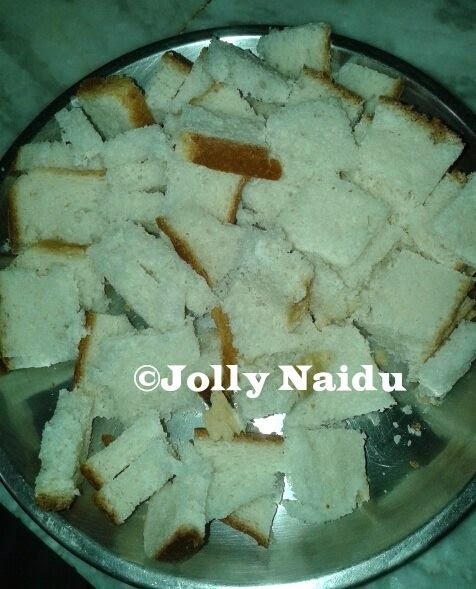 Today special recipe is Bread Poha. 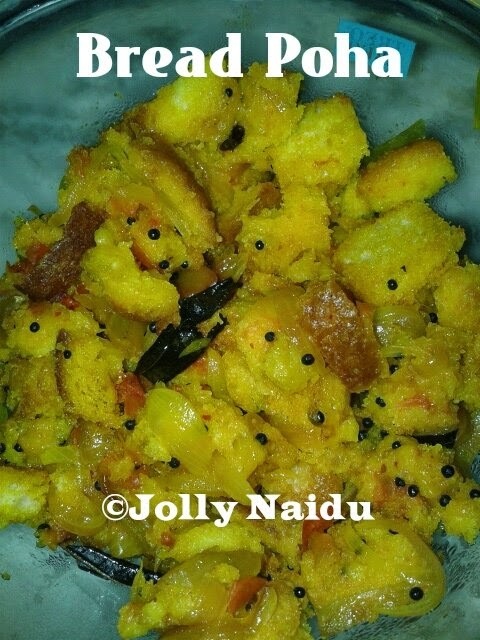 Bread Poha is a healthy and tasty breakfast snack with bread, veggies and other spices & herbs. 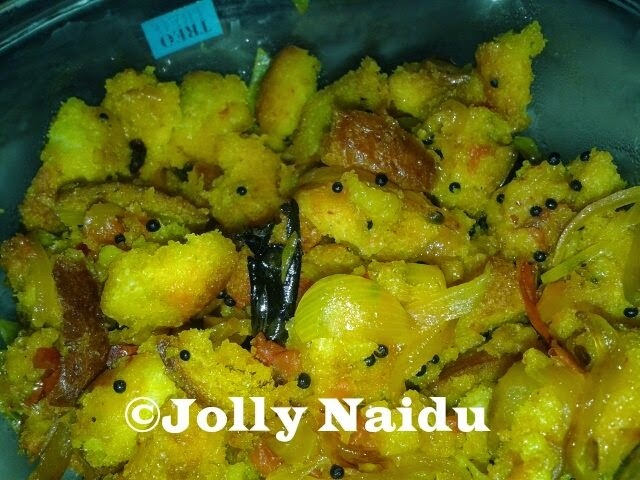 It's a snack that is simple to make and a good tea time dish which is best going with tea or drink also. It can be made without much efforts, and makes for a quick snack. It's a perfect snack for a morning/evening breakfast. Tip : Cut the bread slices in small square and no need to cut their brown edges of the bread, like which is shown in below image. 1. Heat a oil in a kadai/pan/wok. Add the mustard seeds, when they splutter, add curry leaves, chopped green chillies followed by the chopped onions and stir till golden brown. 2. 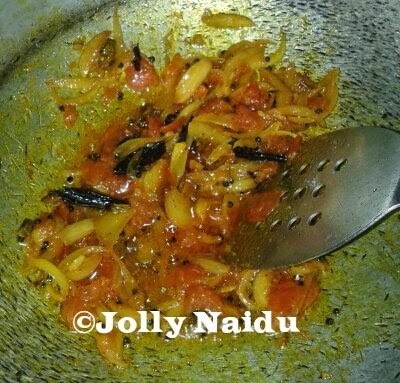 When onion becomes brown, add tomatoes, now add all spices & herbs one by one, salt to taste, turmeric powder, red chilli powder, pepper powder and cover for 2-3 mins so that tadka are cooked. 3. Now, add the sliced bread into the tadka and lightly saute for few minutes with the soft hand and add few drops of water. 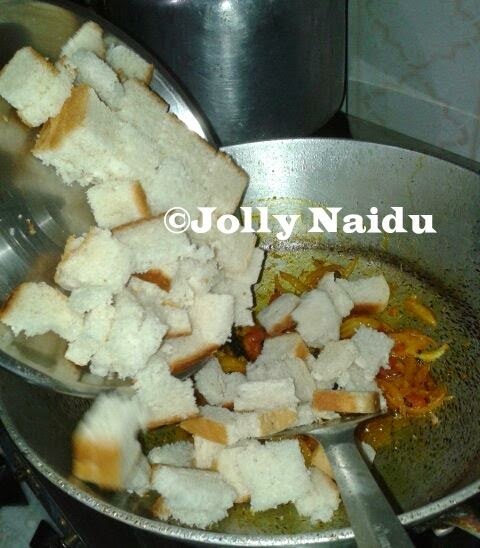 Cook it for 2 min more so that all spices and bread mixed with each other. 4. Garnish with coriander leaves. Serve with Tomato ketchup or Coriander Chutney.